Order templates are necessary tools used in a business because they make certain tasks easy and more convenient to do and finish. Because of this, order templates are made available to be used in different business industries, like food businesses and construction businesses. In this article, we will checking out a type of order template that is used in ordering items or services from a seller or supplier. 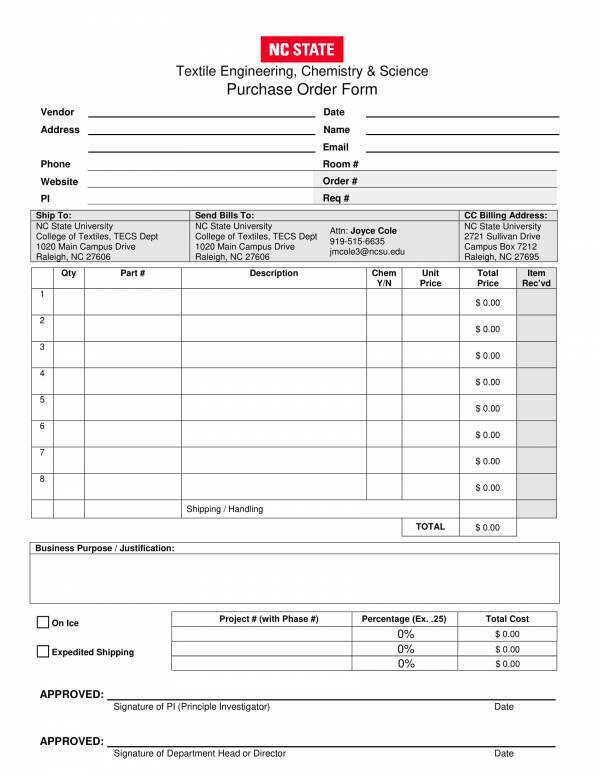 This order template is called a purchase order template. Here we will define what it is, find out its uses, identify its 4 main types, list down the things included in it and some tips that will help us make good purchase order templates. 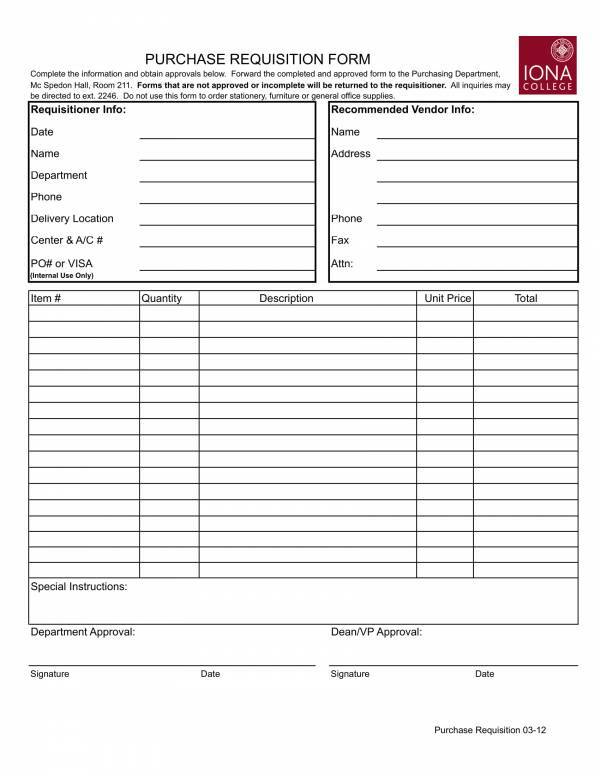 Sample purchase order templates are also provided below for your reference. 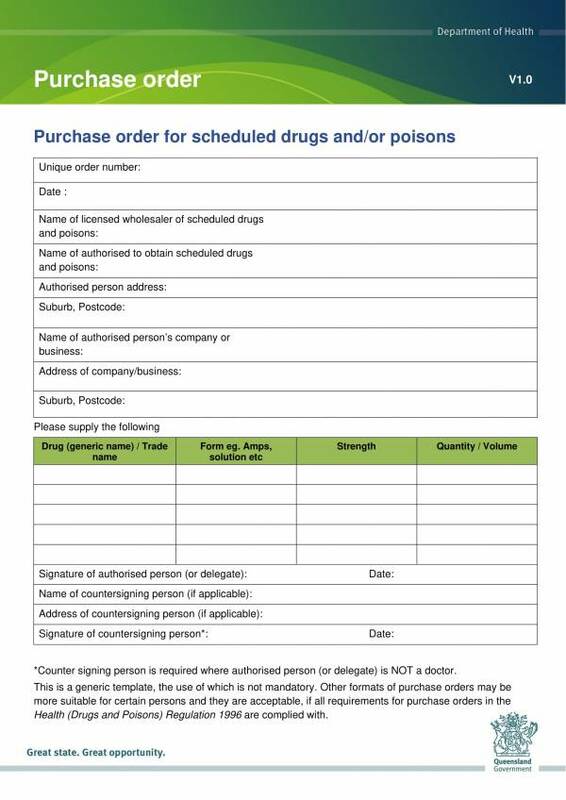 A purchase order, or PO, is a commercial document used by businesses to indicate the different types and quantities of the products that customer purchased. Often, buyers create a purchase order of the products or the services that they want to buy and to make an offer to the seller. 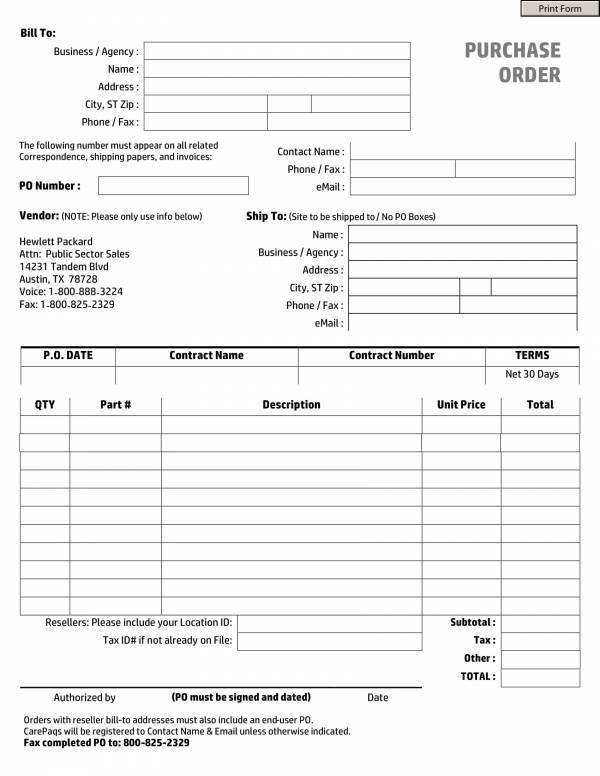 Purchase order forms includes information such as the prices of each item being sold, the mode of payment that the customer can use, the date when the orders items will be delivered, the terms and conditions of the transaction and other order related information. The purpose of purchase orders has to do with the acquiring or getting possession of different kinds of materials for consumption and stocks, materials needed for intra-plant stock transfers, possession of certain services and customer requirements that are coming from external sources. This helps optimize purchasing process and allows the business to take advantage of the conditions that has been negotiated. Purchase orders are used by companies for a lot of different reasons, especially one that allows their customers to place orders easily and conveniently. With the use of purchase orders, customers are able to precisely and clearly convey to the seller the exact items that they want and intend to buy. This allows the seller to know and understand what their customer wants so that they can provide for their needs accordingly, which can help boost sales and offer high-quality customer service. Another good reason why companies use purchase orders is that it can protect them in situations where a buyer refuses to pay for the products or services that they have ordered. A purchase order is not a contract and does not form a contract. However, if a contract does not exist prior to the order transaction, then the seller’s acceptance of the order from the buyer creates the contract between the buyer and the seller. The presence of the offer and acceptance element makes it a valid contract. And when a contract is formed, both the buyer and the seller are bound to the contract. IN other words, purchase orders help sellers get paid. Purchasing agents also use purchase orders because it helps them easily manage and organize incoming customer order and pending orders. This way every order is taken cared of and handled accordingly making sure that no order is overlooked or forgotten. This again goes back to the capability of both the agent and company to provide excellent customer service. Other related articles that you may check out and browse for samples, include Purchase Order Samples & Templates, Sample Food Order Template, and Cake Order Template. What Are the Different Types of Purchase Orders? There are mainly 4 different types of purchase orders and they are standard purchase orders, contract purchase orders, blanket purchase orders, and planned purchase orders. Let’s discuss each of these types below. A standard purchase order is used when a buyer already knows what they want to order, of if the buyer is already sure of the details of their order, such as the items or product, the quantity, the price of each item, the schedule of delivery, the payment terms and conditions, etc. This type of the purchase order is the most basic type and is also widely used among the four types of purchase orders. When a purchase order lasts for a specific period of time, often for a span of one year, the type of purchase order used is a contract purchase order. It involves a legal agreement between both parties that are involved in the transaction. In this type of purchase order, the buyer lists down all of the items that they want to buy at the seller’s price and ensures that there will be no misunderstanding between both sides. Among the four types of purchase orders, contract purchase orders provide the most protection and ensures that both parties will live up to their promise in the contract. In a blanket purchase order, buyers plan on placing several orders at a time, instead of placing one order in advance. Making several purchase orders from the same seller will most likely allow the buyer to save more because of the discounts that offered by the seller for bulk buys or multiple items ordered. There will be some sort of informal agreement between the buyer and the seller regarding the pricing of the items ordered. In order for the the buyer to supply the demand for certain items or products used in a company or business, they must create a plan on how many items they need to order regularly for business use. Planned purchase orders are used of this kind of situation. Managers need to regularly schedule and place an order of the items that that the company or business needs for the coming days, weeks or months. Although the exact amount cannot be predicted accurately, they will need to do and estimate or an educated guess to ensure that the company or business have something to use. Now that you know what the 4 main types of purchase orders, you will surely be able to place an order using the right type of purchase order. This way you can clearly relay or tell the seller what you want and not risk being misunderstood. This allows both of you to conduct business easily and conveniently. You may also check out other related titles, like Change Order Templates, Sample Fundraiser Order Template, and Work Order Samples. 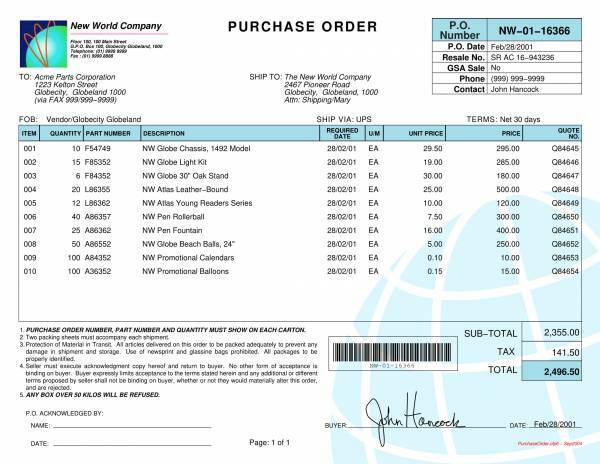 What Is Included in a Purchase Order? If you will be using a purchase order, it is necessary that you know the different information that must be included in the document. This allows you to identify if the purchase order form you are using is complete to help make your transaction go according to plan. Missing information may cause delays in the preparation and delivery of the order, which will greatly affect the business in a negative way. So here are the things that are included in an order template that you should know. Issuing entity or buyer – This includes the name of the buyer (could be an individual, business or company), their business address, contact details and sales tax exempt, number if any. Supplier or seller – The details that must be included to identify the seller includes, the seller’s name (could be an individual, business or company), seller’s business address, supplier number and fax number (if any). If the buyer needs to mail their purchase order, then they can send it to the seller’s business address. Shipping address – The shipping address here refers to the address where the ordered items will be shipped to. It does not necessarily have to be the actual address of the buyer, but it must be the address where the buyer wants the ordered items sent. Purchase order number – The purchase order number is a unique number combination that is used to effectively track the purchase made starting from when the order was placed up to the payment process. This number is a common reference point for the buyer and the seller. 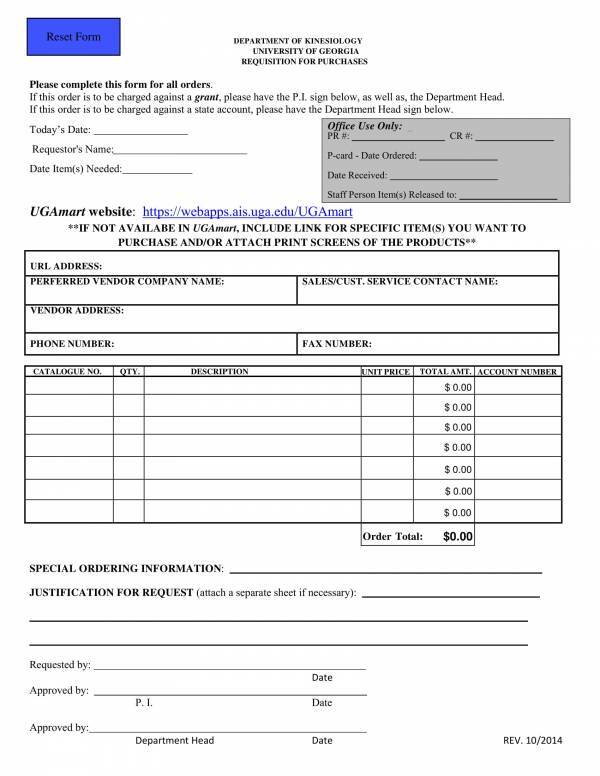 It comes with the purchase order date (the date the purchase was created) and the purchase order page number (the page number of the purchase order). Payment terms – This refers to the date when the order will be pa paid, specifically the number of days when the seller will be paid by the buyer. There payment terms vary depending on what has been agreed on by both parties. Currency information – Provides details of the currency that the buyer is using in the purchase order. Invoicing instructions – Specific instructions on how and what address should the payment for a particular invoice should be sent. Start and end date – These dates indicates the number of days when the purchase order is valid, and is expressed in the exact start date and exact end date. Body of the purchase order – Just like the body of a letter, the body of a purchase order contains all of the information regarding the products or services that the buyer has placed. These information, include the quantity of items ordered, the unit price of each item, the unit of measure used, the description of each item, the catalog number and many more. Total purchase order amount – This refers to the total amount of all the items ordered including applicable taxes and fees. 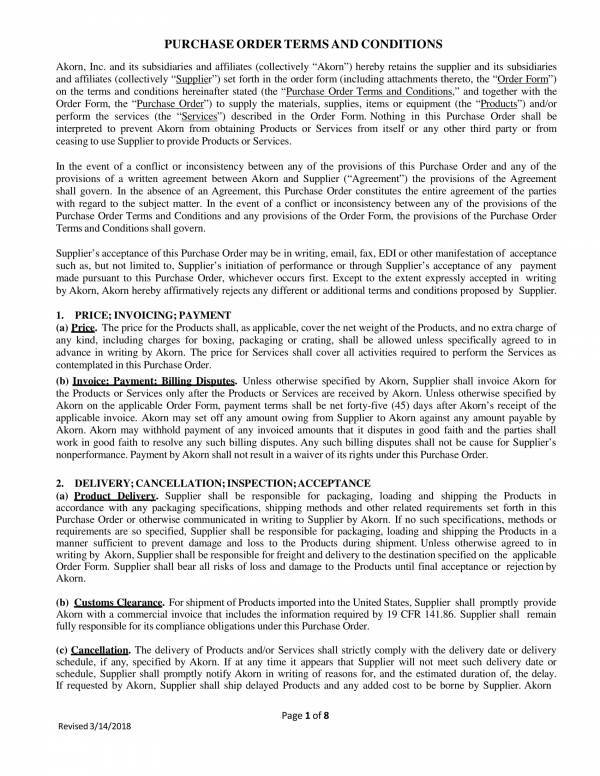 Buyers signature – This is the signature of the buyer who created the purchase order or who is authorized by a company or business to manage and place a purchase order. Familiarizing the parts of a purchase order is a good practice as it allows you to recognize every information included in the purchase order template as well as understand its uses. 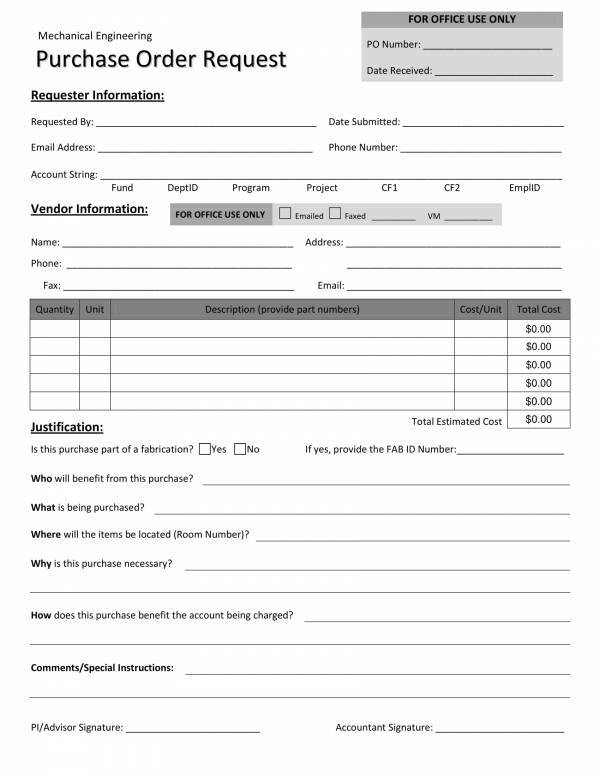 Purchase order templates would make a good practice material to help you hone your knowledge and skills about purchase orders. 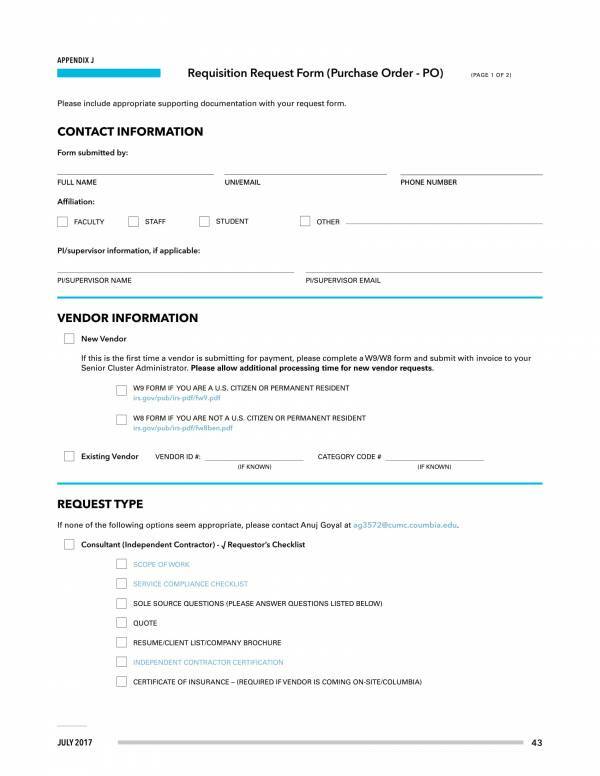 You may find articles, like Free Sample Work Order Forms, Sample Construction Work Order Forms, and Sample Maintenance Work Order Forms useful. What do you need to make a good purchase order template? Purchase order templates may be simple or they may be complicated depending on the transaction it s used as well as the items involved in such transaction. However, this should not be a hindrance or an obstacle that could prevent you from making your purchase order template a good one. Include only necessary information. 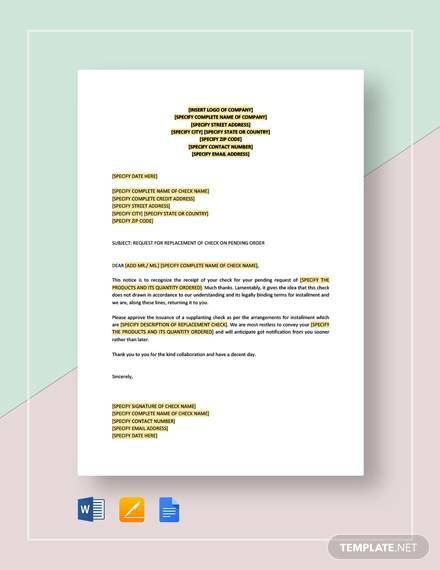 You don’t want to crow your purchase order template so as much as possible, only include information that are necessary and relevant. We know there are a lot so it is best to list down the things that must be prioritized. This way you can easily weigh which information is important and which information is not really needed. Arrange details in a way that is easy to read and understand. To make a good purchase order template, the layout of the template must be carefully thought of ad arranged. Relevant information must be placed beside each other so that the reader will no have problems locating them. The orientation of the template also matters. 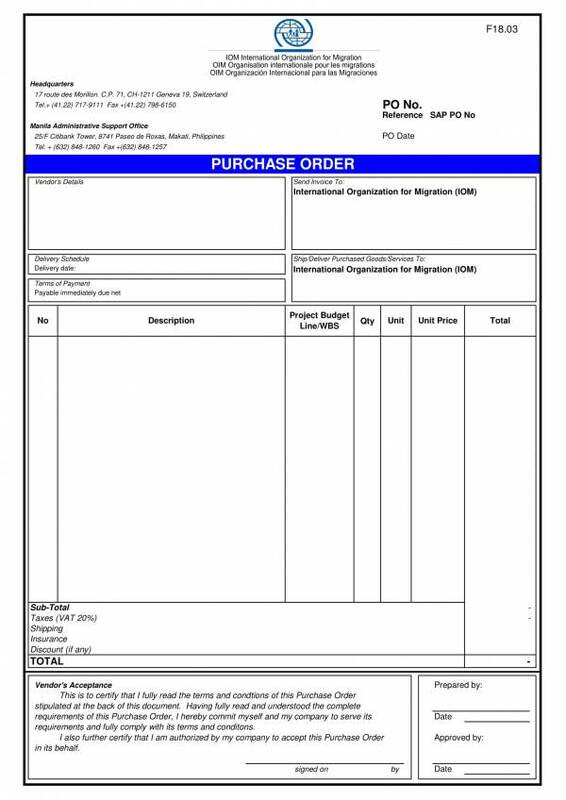 If the purchase order template is created in portrait orientation, all the information in it must be written according to this orientation. Provide instructions on how the template should be used. The template will be put to good use if the instructions on how to use it and what information to fill in the spaces is provided. This makes the template easy to use and the right type of information is gathered when instructions are provided. Provide enough space to write on. This is also another for you to prevent crowding your template. 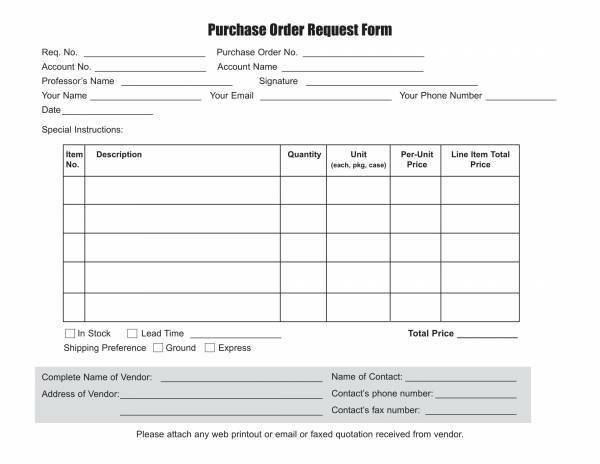 Having enough space to write on will make the purchase order template still look neat and organized even when the order details are already added to it. Use tables or grid lines. If you want the details of your purchase order template to be aligned and in order, using table or grid lines will be the best choice. This makes it easy to navigate and look for the details that you need to know of. Use the appropriate font style and font size. The font style and font size that you will be using for your template matters. In selecting the right one, make sure that the font style is simple enough and the font size large enough so that it can be visible and easily read. 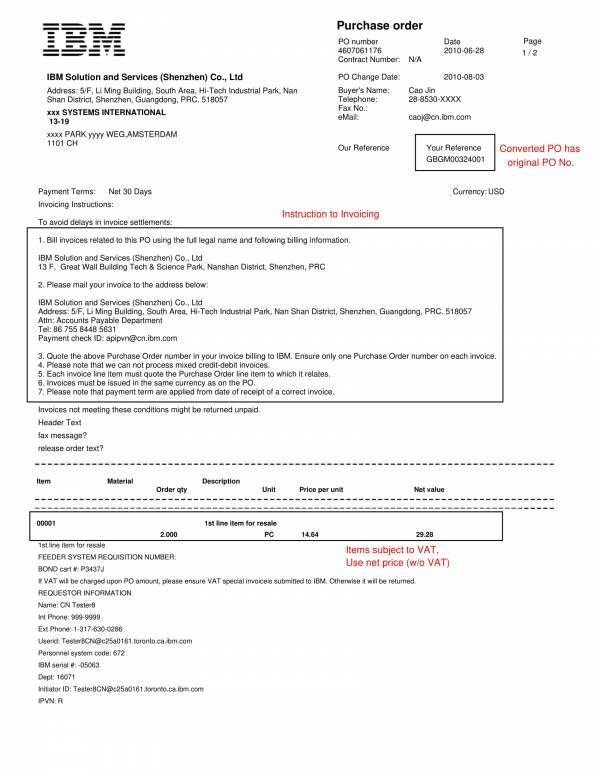 Use other purchase order templates as reference. In order to asses of what you are doing is correct and to check if there are any missing information, it would be best to use other purchase order templates as your guide. Follow these tips and you will definitely be able to come up with a simple, yet very goo purchase order template. We hope that you are able to learn something from this article. 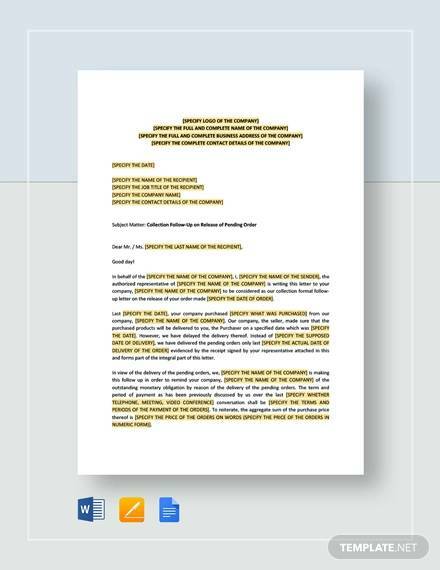 We also have other related articles on our website, where you can download free sample templates and use them as your own. Some examples you may find interesting are Sample Change Order Request Form, Sample Money Order Forms, and Sample Contractor Work Order Forms.